Looking for some delicious dinner options? 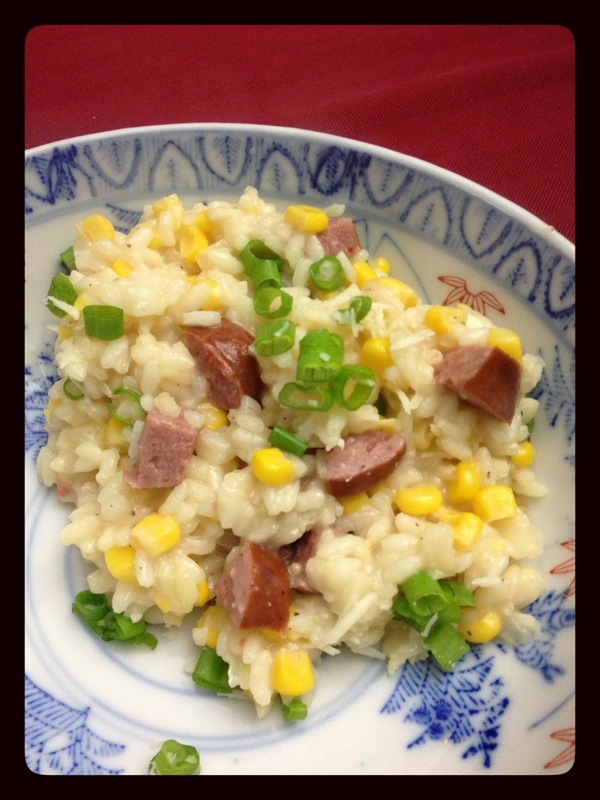 We recently made two great dishes that I would highly recommend. They were also both much more substantial than I expected and could individually serve as main courses if you wanted. The Sweet Corn Risotto, pictured to your left, was really yummy. 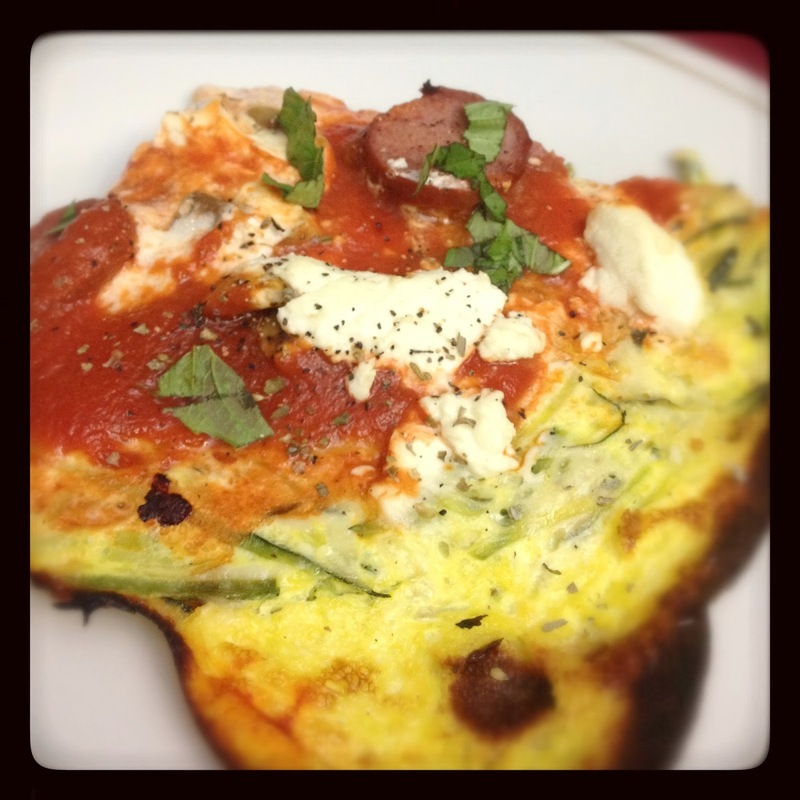 We chose to add turkey sausage to it and as a topping on the Zucchini Crust Pizza. Both of them kept really well, and we ate them as leftovers the next day. What really made the risotto dish pop was the fresh green onions sprinkled on top. I loved each bite. If I were to do it again, I might add peas as well. Overall, I would definitely make this one again and will slot it into the regular rotation of delicious dinner options. The Zucchini Crust Pizza was a delightful surprise. The crust was delicious and worked great as a substitute for a bread crust. It almost tasted even more delicious the next day. If you wanted to cut even more calories and fat, you could probably skip the mozzarella. I know, crazy right? I'm a huge cheese fan, but I am telling you, no joke, the zucchini crust was really flavorful. So if you are looking for something a little different, I would highly recommend trying the zucchini crust pizza. I would call it a new favorite. How do you plan dinner? My latest go-to for dinner inspiration has been Pinterest. If we're not already connected, let's do so. I look forward to seeing your pins!